I am Trevor A. 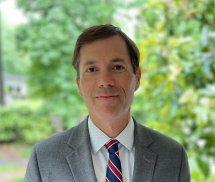 Brown, an attorney handling Social Security Disability Insurance (SSDI) and Supplemental Security Income (SSI) claims for clients in Dalton and Atlanta, and throughout northwest Georgia. My entire practice is devoted to the practice of disability law. If you suffer from a physical or mental disability and are unable to work, I can guide you through the legal process and represent you in all necessary hearings and appeals. I get to know my clients and work with them personally throughout the legal process. I want to know how your disability is affecting your life, so I can present a compelling claim on your behalf. My hands-on approach to SSDI and SSI law has helped me earn a good reputation with my clients and build a record of success over 10 years of practice. If you are seeking representation for an SSDI or SSI claim or appeal, I am here to help. Contact my law office today online or by telephone at 706-847-4646 or toll free at 800-610-9637 to arrange a consultation with an experienced Social Security Disability insurance lawyer.